Arts In Action » An Eye Opening Internship! The past few weeks working at Arts In Action have been amazing! It has really been a hands on experience and I have been able to learn so much. It may seem obvious to others, but what I have learned is a lot of work goes into non-profits, more than I originally thought. One is in constant search of grants to aid in the expansion of your cause and new fresh ways to market the agency. One of the biggest things I have learned is how to find appropriate grant opportunities and the time and research needed to unearth these opportunities. It requires a lot of work to find such grants and now I know the hard work and dedication it takes to finding grants that will apply to the non-profit’s cause. While I enjoy the research, I love the contact I have had with the staff working at the non-profits. I have joined Grace in her meetings with UIH Family Partners and everyone has been so welcoming! I was introduced to everyone at their offices and they took time to explain to me about their role. Last week I even went to an event UIH was hosting and that was a great time! UIH is starting a new initiative within their “Daddy and Me” program and the event I went to was the launch. 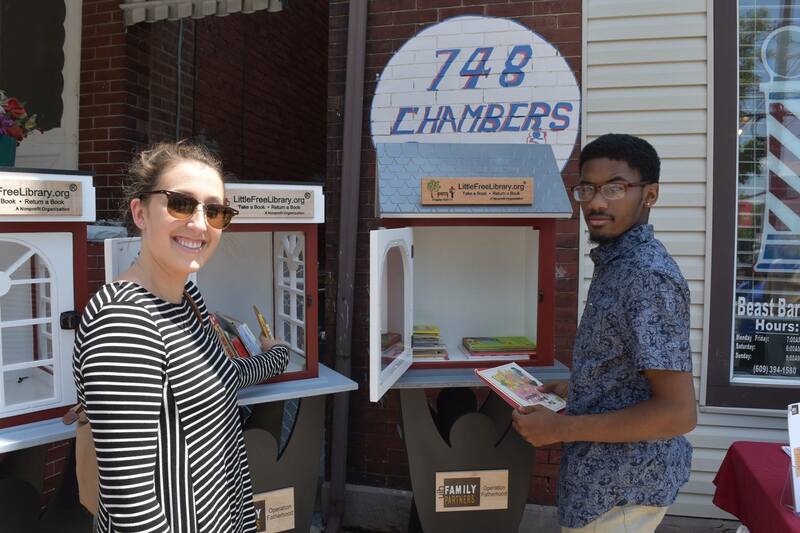 This program will put a little free library in four different barbershops to promote literacy at a young age in Trenton, NJ. I was able to talk to employees, an elected offical, even the man who built the little free libraries, while being able to help put books into the libraries. It’s been eye-opening because when I was in high school and volunteering at the Ronald McDonald House, I was a playroom volunteer, so I played with kids and occasionally would help with some organization, but now, I am learning so much of the behind the scene stuff. The past few weeks have been a great learning experience and I am looking forward to the next few!